In a mystical world where humans and supernatural creatures co-exist, the dark and ancient race of beings known as the Kamikui are on the rise. 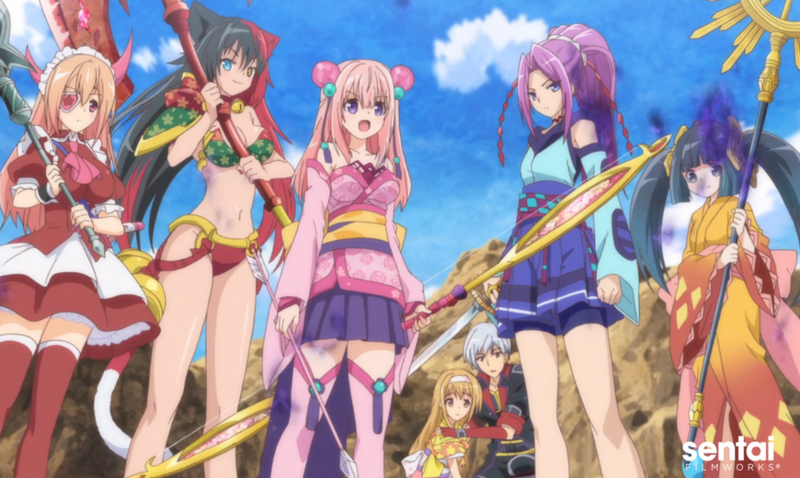 To stop them, the people of Japan will need a mighty army of heroines with unparalleled fighting skills. Unfortunately, times are tough, and they’ll have to make do with a runaway Princess; the axe-wielding and frequently drunken daughter of an Orc tavern owner; an internet troll who lives in her own fantasy world; and a frazzled fighter who would love to stick to the rules of combat if she could reign the others in for even half a second. It may not be an epic out of legend, and Japan might be doomed, but at least the road to damnation is going to be a heck of a fun journey as our wannabe world-savers cut loose in ONIGIRI!